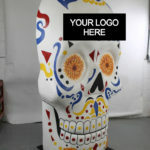 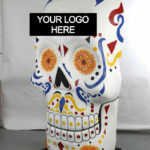 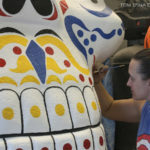 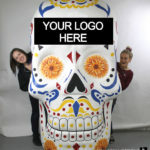 A custom hand carved foam sugar skull event prop for a Day of the Dead themed corporate party. 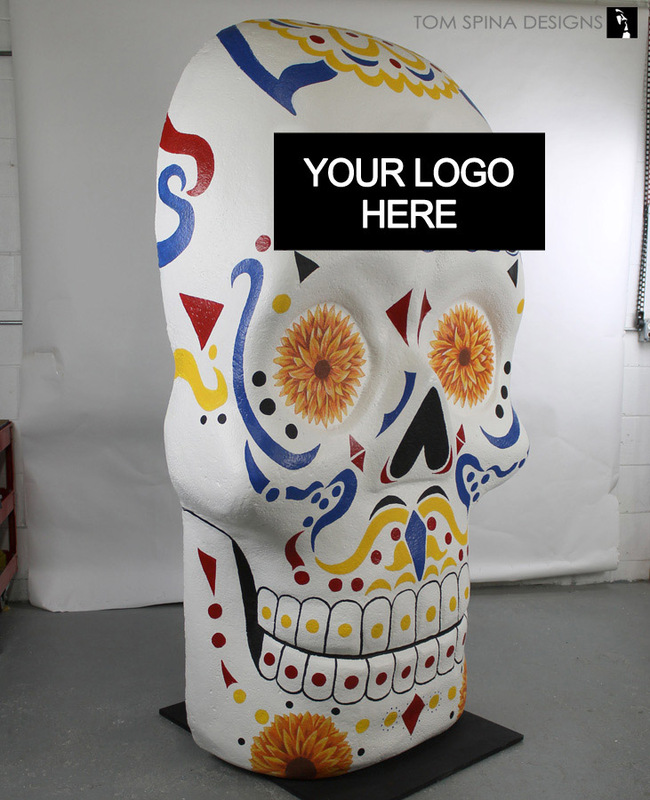 For their over the top Day of the Dead Halloween party, our corporate client wanted an equally over the top themed prop, so we created this nearly 8 foot tall carved foam sugar skull event prop! 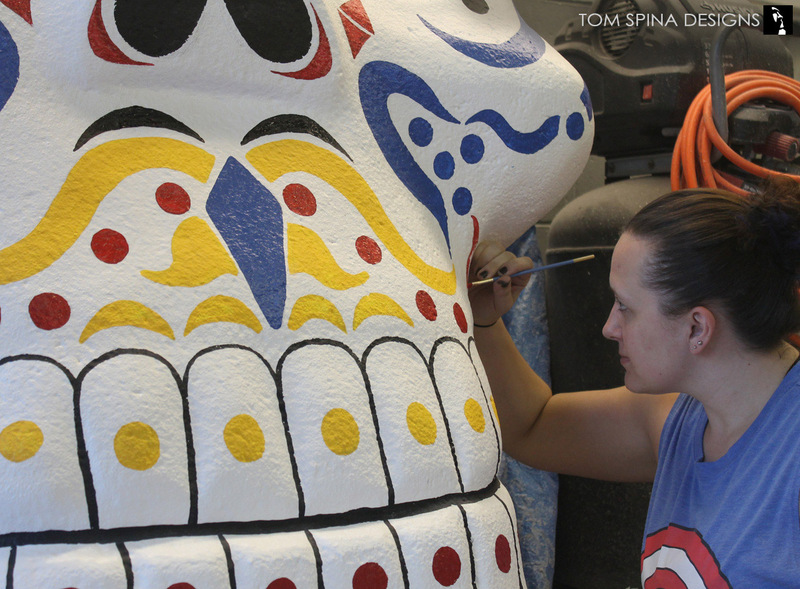 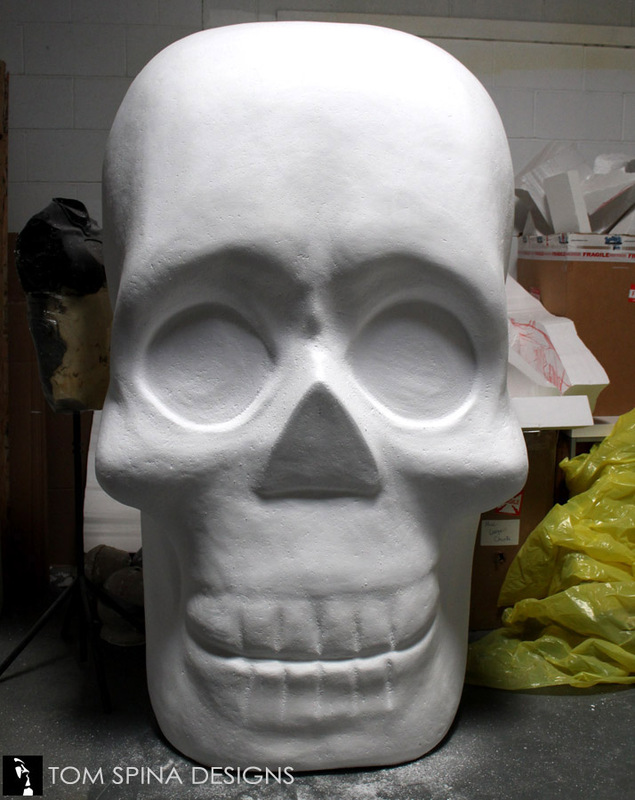 This skull began as all of our carved props do – as a giant block of EPS foam (what most folks call, “styrofoam”). 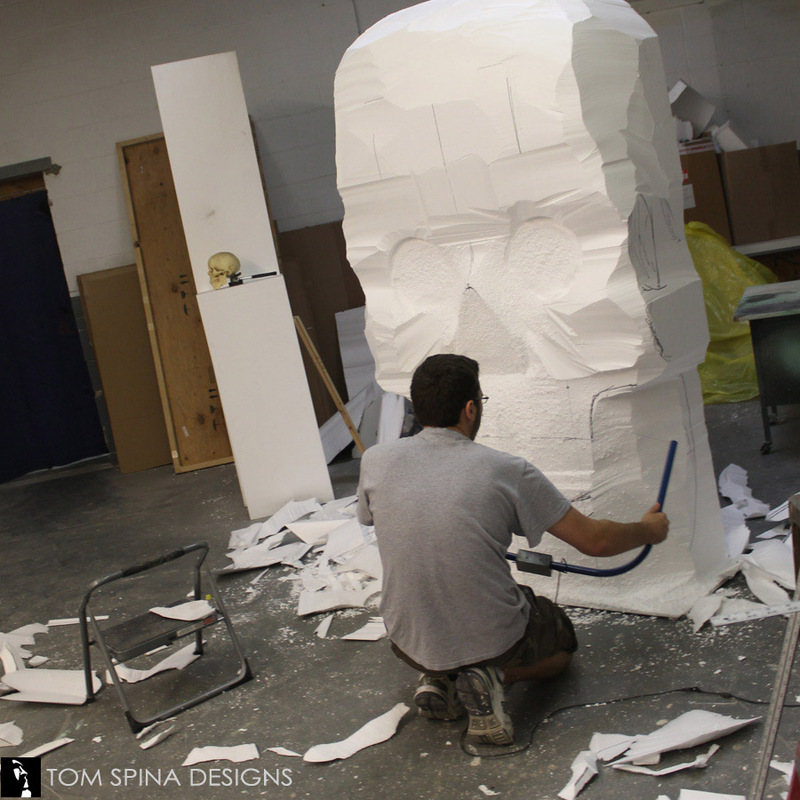 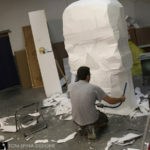 Foam sculptor Steve Richter carved out the basic outline with hot wire tools, and then refined the shape by hand with rasps and files to create the detailed bony anatomy of our giant foam skull prop. 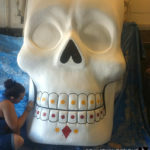 Once the giant skull’s form was carved, the entire prop was sanded, by hand, to create a smoother surface. 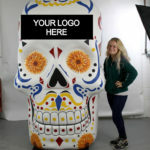 The skull was then given a hard plastic-like coating for durability, which is especially important for a prop like this one which will be used as a photo-op prop for a big themed party. 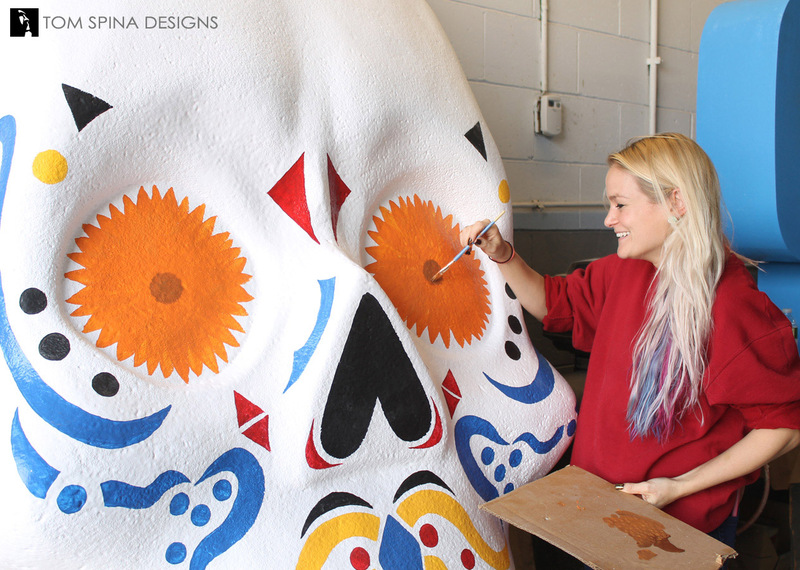 Then Melissa, our resident sugar skull enthusiast, began sketching out the basic patterns and the company’s logo. 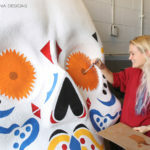 Then she and Christine hand painted each individual design element. Quite a few hours went into painting all of the details (and of course, adding the corporate logo/branding, which, unfortunately, we can’t show you here!). 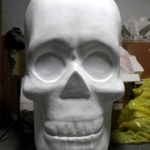 We also secured the skull to a simple wood base for an extra added level of stability. 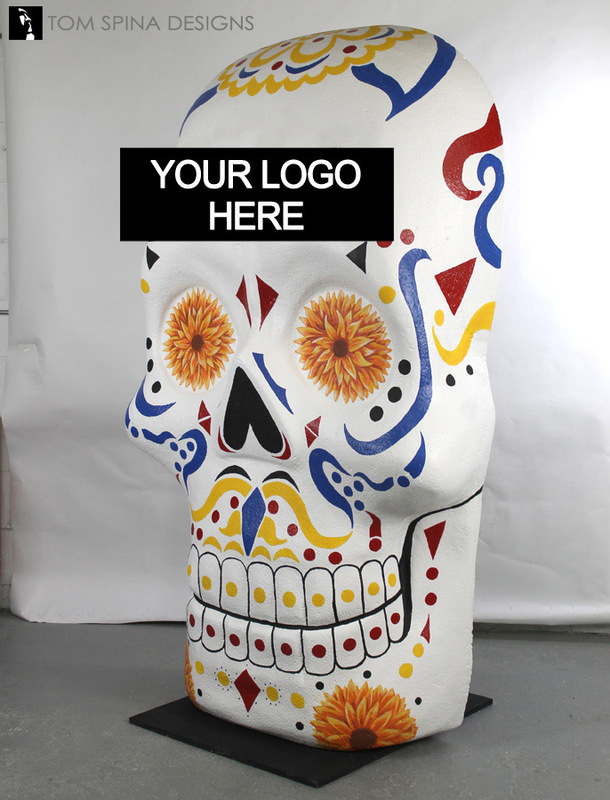 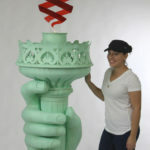 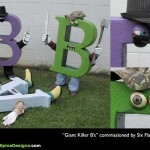 We’ve labeled this prop “Your Logo Here” because we’d love to create a big foam piece for your company or event! 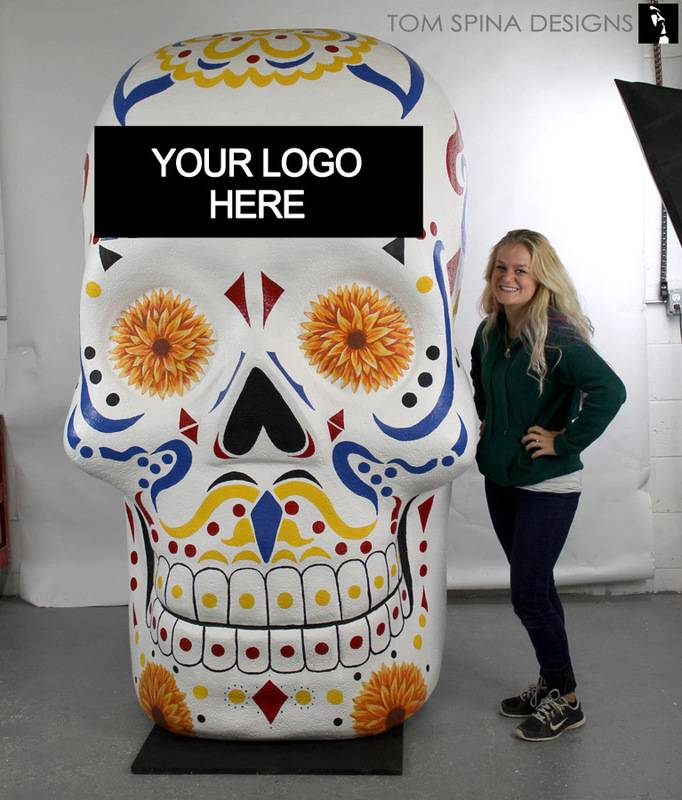 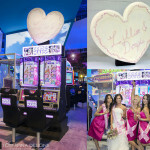 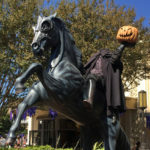 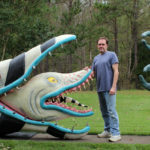 Whether you’ve got a corporate event, trade show, wedding, or big party in the works, we can CUSTOM CREATE all manner of large props and sculptures to give your event the ultimate in theming and style! 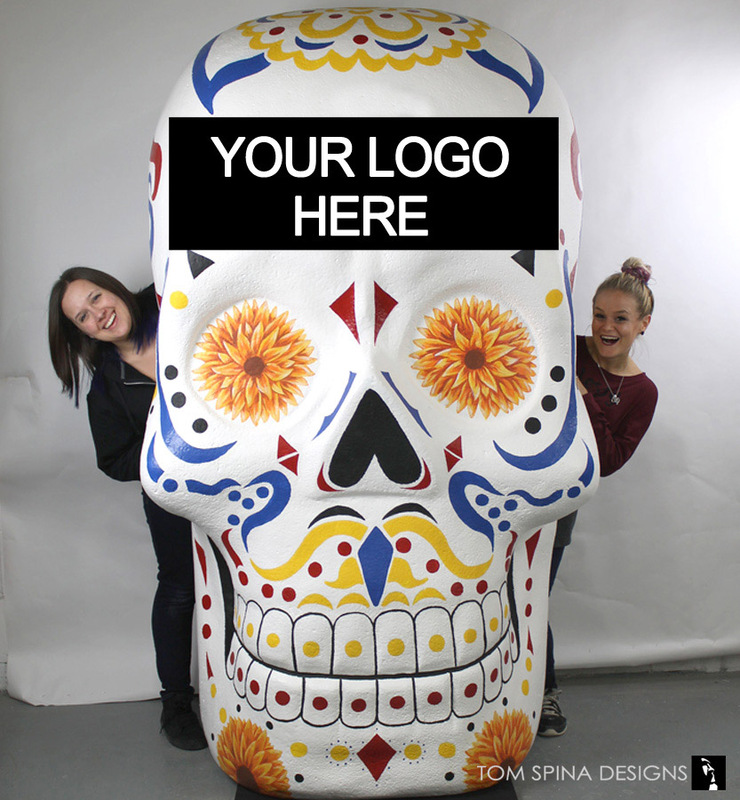 Drop us a line and let’s see what we can create together!